It’s January and New Year’s Resolutions are on everyone’s minds. We all want to get things done – get organized, eat better, start working out, find that new job! In Feng Shui, we have the concept of YIN and YANG. You’ve seen it, the symbol? 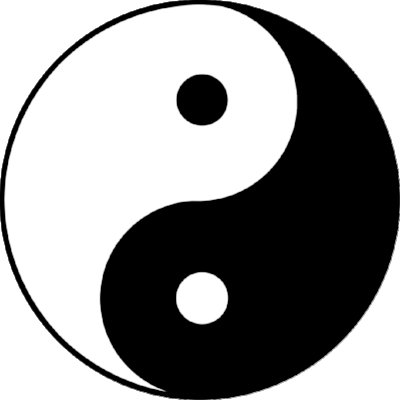 Many people think Yin/Yang are opposites but they are complementary and ideally you need to have equal amounts of each for harmony and balance. But I’d like to introduce a more balanced approach. What if you reached your goals introducing more YIN activities into your daily routine? YIN activities would include taking breaks, taking time for reflection, meditation – all of this to balance your action oriented YANG and be more in the position of ALLOWING and RECEIVING rather then PUSHING THROUGH and DOING. The latter sounds exhausting doesn’t it? Here’s 3 Simple Feng Shui Tips to put more Yin into your Yang! Put 5 min breaks in your schedule – it doesn’t sound like alot but believe me, can make a world of difference when it’s a REAL BREAK. Schedule an appointment with yourself every week to daydream and brainstorm. Get those juices flowing! Make a daily habit of sitting still without gadgets and distractions. even if it’s 3 minutes, do it. I promise you, what will unfold is a powerful trust and openness that helps you realize that when you let go, you allow life and the Universe to do some of the heavy lifting for you. 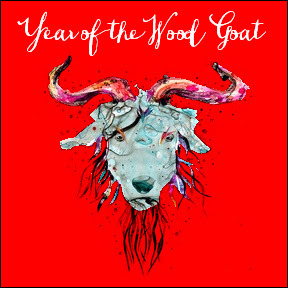 Wishing you a powerful yet peaceful journey toward your goals AND see you in next month when we get ready for Chinese New Year of the Dog!